cute silver. . Wallpaper and background images in the Silver the Hedgehog club tagged: silver the hedgehog super cute. This Silver the Hedgehog photo contains anime, fumetti, manga, and cartoni animati. I was like this is not gonna be cute,silvers not cute!Then I saw it and was like oh wow that is cute! I wuv SILVER!!!!!! 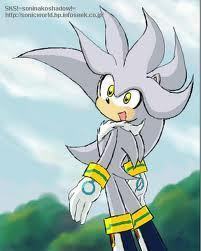 If a boy was like silver i'll go for him!!!!!!!!! princesszari silver can be cute if he wants 2 be!